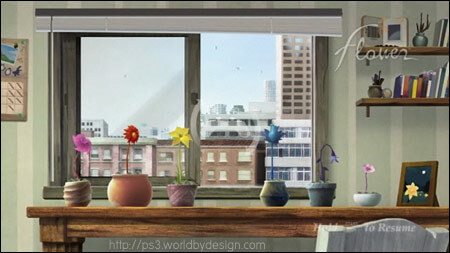 I remember hearing about the game "Flower" quite a while ago when the early reviewers were raving about its unique gameplay and gorgeous visuals. Finally I picked it up from the PSN store recently at a bargain price and it turns out to be more than I ever expected. 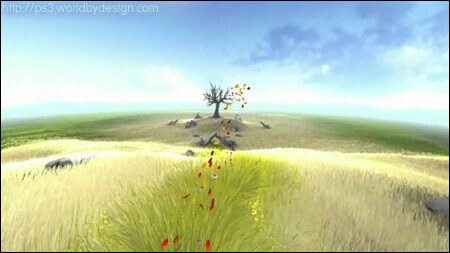 ThatGameCompany who made "Flower" have a mission statement which includes communicating different emotional experiences that current video games on the market do not offer. Mission succeeded. The closest experience I can think of is how the visuals affected me when I first watched the 1998 film "What Dreams May Come" (which incidentally won an Oscar for Best Visual Effects). It's like stepping into something beautiful. 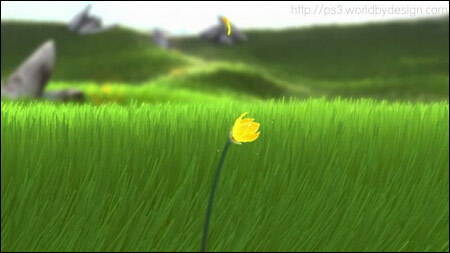 You forget you are playing a game sometimes and get drawn into the smooth flowing harmony of nature. As you can see, it is difficult to describe but you have to abide by the rules of nature and also influence them to turn grey and dying patches of land into high colour, vibrant living areas. 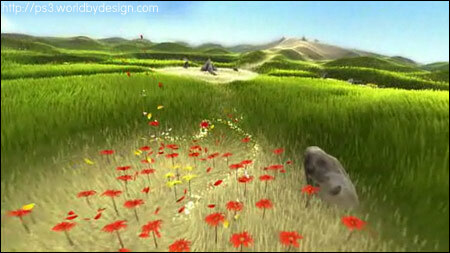 You control a breeze which spreads flower petals across the land, bringing life and energy to other flowers and plants. I am always sceptical when it comes to games which claim to offer new and unique methods of play but this game really is a breath of fresh air - no pun intended. I have not seen anything like it before. It really falls into its own category of game and shows that innovation is not dead in modern gaming. It is currently only £2.39 on PSN which is an unmissable bargain for everyone.